I consider myself very blessed because, in my lifetime, I have met three of the loveliest men I can ever hope to meet and share part of my life with. These are my dad, my hubby Mark, and my father-in-law, John. They all share similar attributes – they are all very kind, loving and very soft-spoken. I have never ever heard a single cross word from any of them. They all define what a true gentleman is. 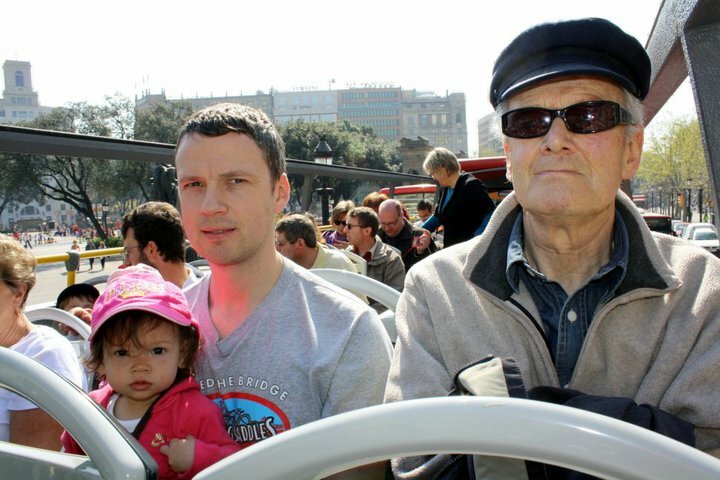 Sadly several days ago, my father-in-law passed away from us. It was totally unexpected. At the time it happened, Mark’s mom and her sister were actually with us for a holiday in the US. We learned about the news exactly a day after they arrived. We were all truly shocked as he was doing well and feeling fine before they left. Nonetheless, all of us can still rejoice because we know John to be a true believer in Christ. We know he is right now enjoying the company of his Saviour. While we naturally express sorrow at losing him, we have that blessed assurance that gives us peace in our hearts and mind. 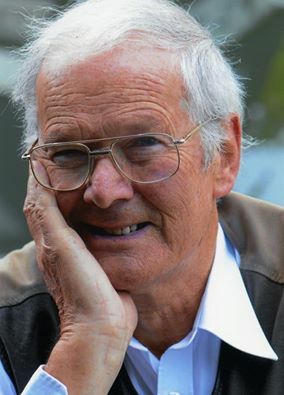 We remember him fondly not only as a loving father and father-in-law but certainly as a wonderful and doting grandfather or grandad as William and Sophie call him. 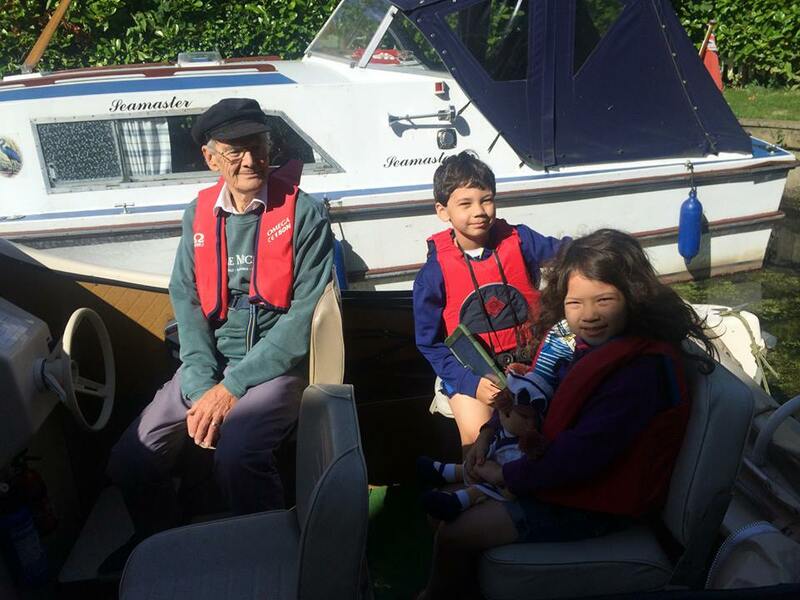 I decided to write this post to remember the happy times we spent with Grandad John. He has truly brightened our lives and the kids totally love him and are surely missing him even as a write. 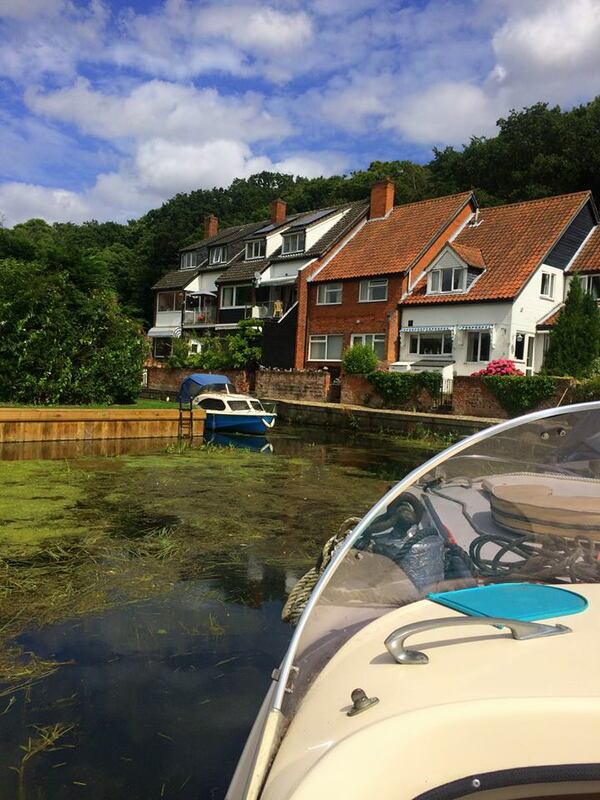 John loved to have us in their lovely house in Norfolk. Since he couldn’t travel us much as he would like to because he underwent a heart operation, he often helped pay for our fare so we can visit him and Margaret in England. It was always a joyous holiday when we visit them. Not only because their house is so delightfully beautiful and with stunning views of the river, too, (sorry the photo above doesn’t do justice as it doesn’t show the river view on the other side) but we always received a heartfelt welcome and they always pulled all the stops to make our vacation a lovely one. 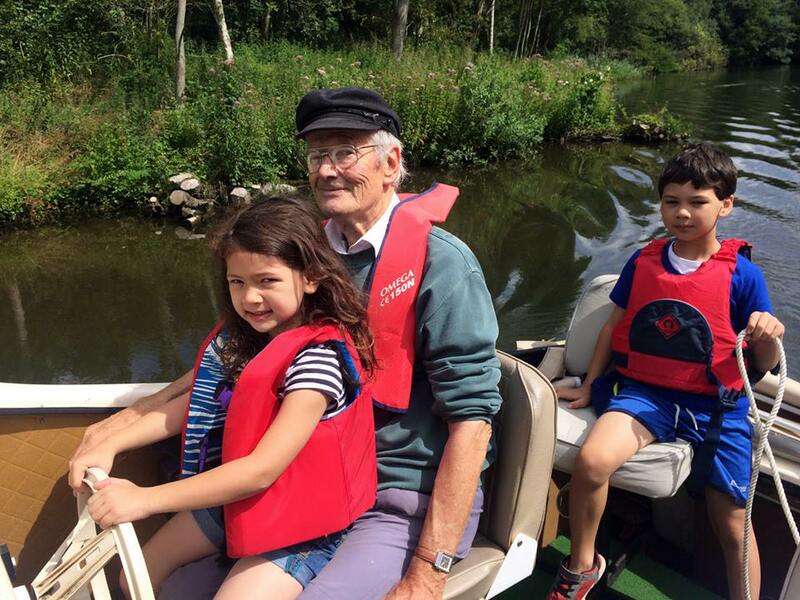 Of course no holiday in Norfolk would be complete if grandad John doesn’t take us on his boat!!! 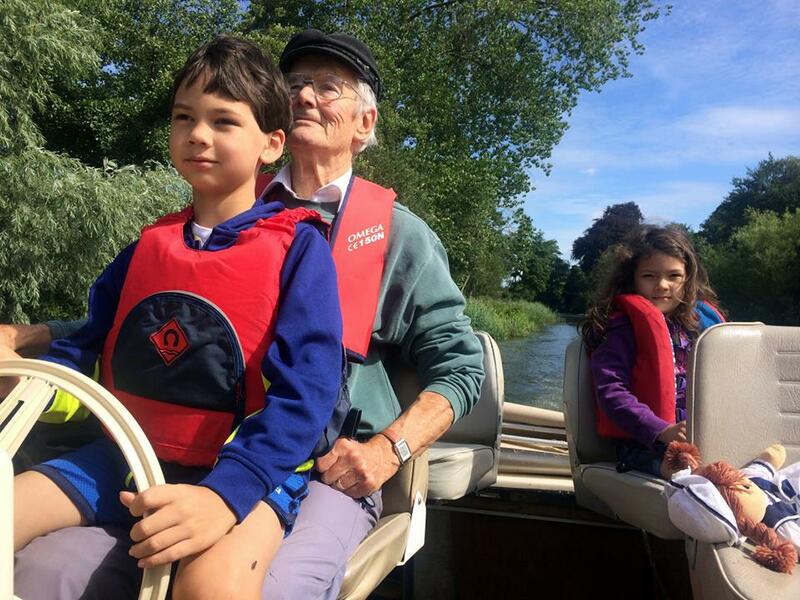 This is surely something we will all miss – a ride in grandad’s boat around the Norfolk Broads. 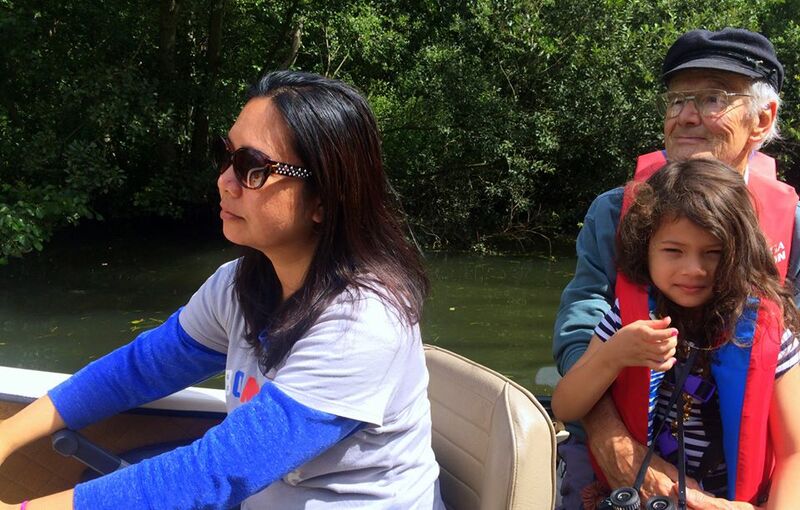 He always allowed each of us to take the wheels and steer the boat along the river! 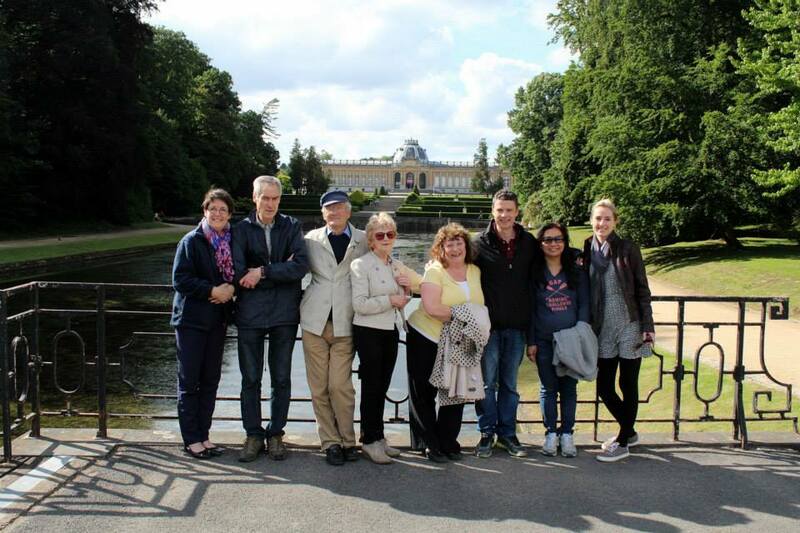 Our family have certainly caught the travel bug as we have travelled many times together. 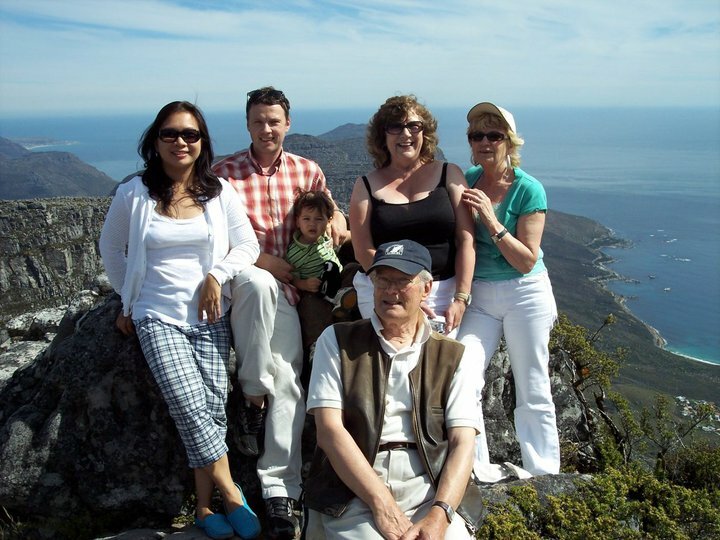 Here we are on top of the world-famous Table Mountain in Capetown, South Africa. As you can see William was still small here and Sophie hasn’t even been born yet. This was taken in November 2007. 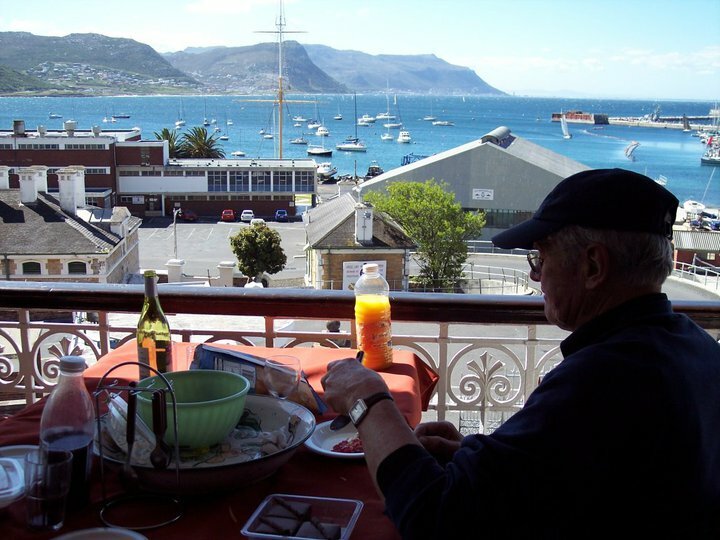 Here’s John enjoying some breakfast from the balcony of the hotel we stayed in at Simon’s Town in South Africa. Isn’t that a lovely view? We actually saw a whale right near the beach while we were here. 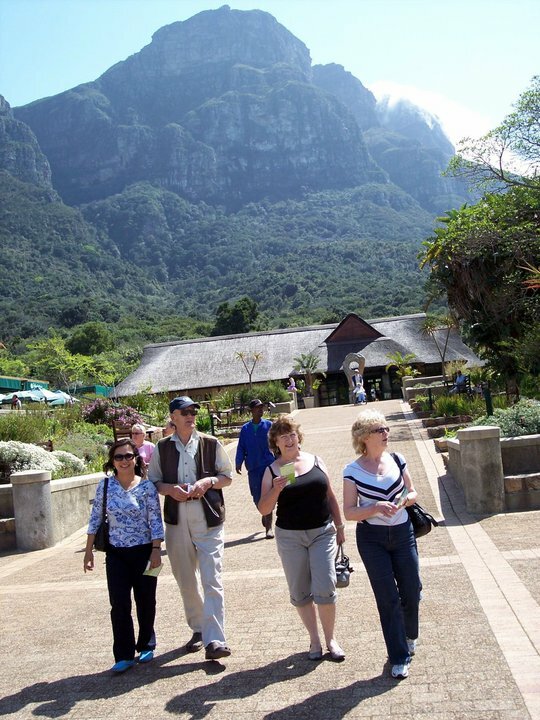 Here we explored Kirstenbosch, the gorgeous botanical garden in South Africa. 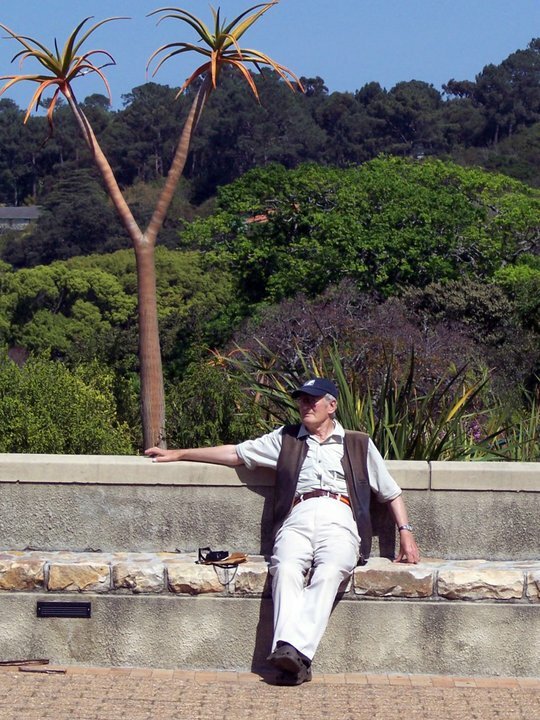 John taking a short break after a long walk around the garden. 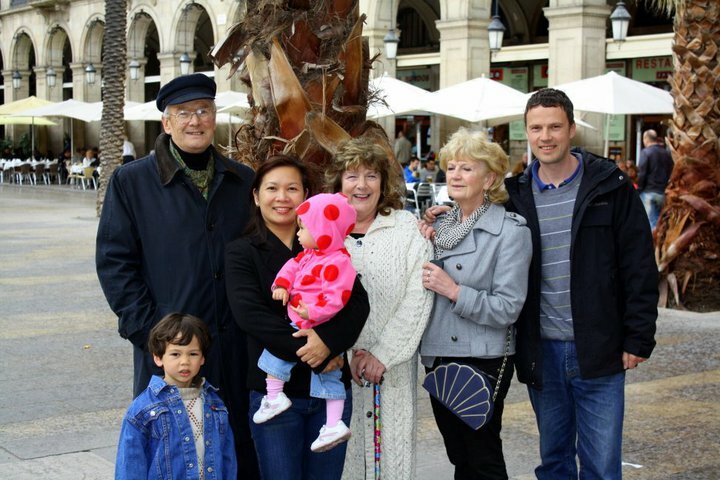 Grandad John’s favorite holiday place is Spain so pretty soon the entire family went to Barcelona for a vacation. This was probably in 2010 as the kids were still pretty small. On our hop-on and hop-off bus as we toured the city of Barcelona. John with Mark and Sophie. The following year we were off to Belgium! This was in Brussels at the city center. 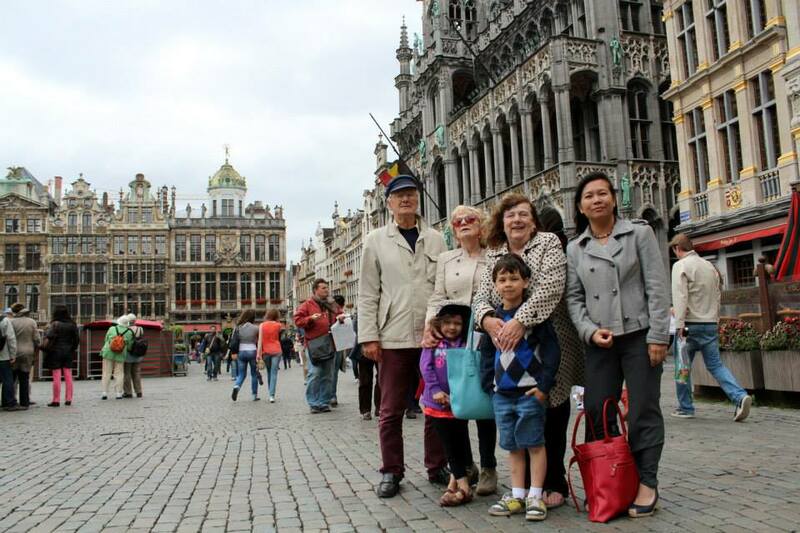 We visited family friends who were living in Brussels at that time. Mark here delivered a tribute to his parents who celebrated their 50th Wedding Anniversary in 2013. Incidentally, my parents also had their 50th anniversary in the same year. Mark and I, on the other hand, commemorated our 10th! We hope, Lord-willing, to achieve the same. John had lived a wonderful, faith-filled life that we hope would always serve as inspiration not only to his immediate family but hopefully to everyone he met and touched during his lifetime. Psalms 116:15 – Precious in the sight of the LORD is the death of his saints. Thanks Liz! We just came back from his Thanksgiving service and there witnessed how much loved and missed he is by the many people he had shared his life with. What a beautiful family you have. I am sorry to hear of your loss. Your FIL sounds like he was a wonderful man. 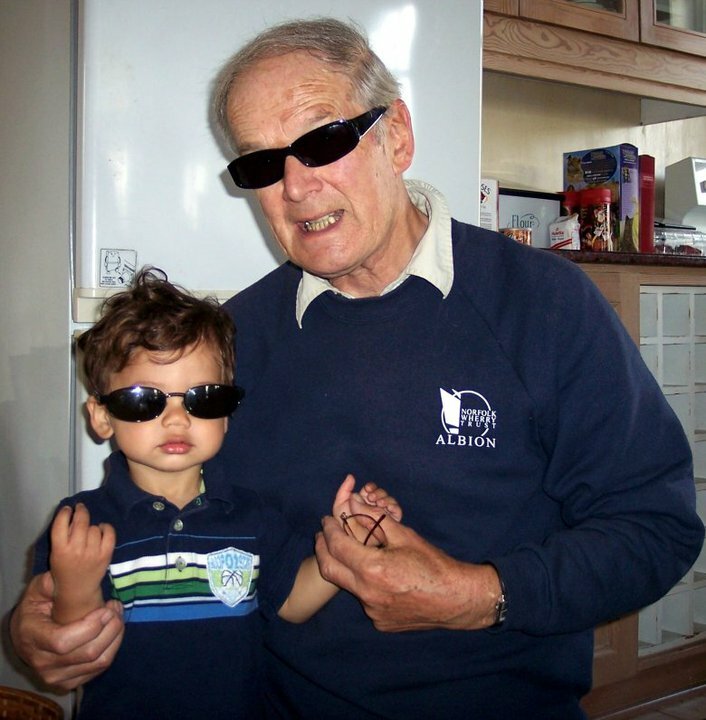 How fortunate for your children to have a great granddad. They are sure to have good memories of him. Thank you for sharing a part of your life. Thanks Chele! We surely miss him a lot! Beautiful tribute! Sending love, hugs and prayers for all of you.